Mocking people who are overweight should be banned in the same way as racism and sexism, a medical researcher has said. Obesity researcher Dr Sarah Jackson says the lack of legislation around weight discrimination sends a message to the public that making fun of fat people is acceptable. The study of over 5,000 UK adults found that fat people who feel discriminated against experienced a 70 percent increase in symptoms of depression. Examples of weight bias include receiving poor service in shops, being harassed and being treated without respect. Jackson suggests the public do not take the impact seriously because discriminating against fat people is legal. “This might send the message to people that weight discrimination is socially acceptable,” she added. Professor Jane Wardle, director of the Cancer Research UK Health Behavior Centre at UCL, called on medical professionals to pay attention to the findings. Wardle said discrimination is found not only among the general public, but also health professionals who are meant to be helping fat people lose weight. In her previous research, Jackson found that ‘fat shaming’ does not encourage people to lose weight, but may actually do the opposite. The study of almost 3,000 British adults discovered on average those who experienced mockery ended up gaining 0.95kg, while those who did not lost 0.71kg. One reason for this is ‘comfort eating,’ as people turn to junk food as a way of combating negative emotions. Fat people who experience mockery also feel less confident about exercising, so tend to avoid physical activity altogether. Rising obesity levels is a major concern for health experts in the UK, with many warning it is ticking time bomb. 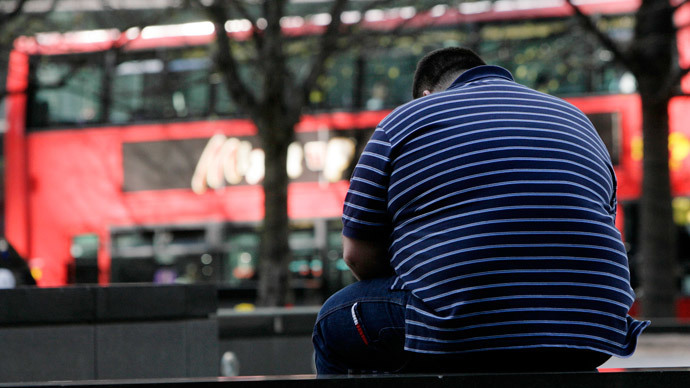 A recent study by Kings College found a quarter of children in England are clinically obese. The report, published in January, echoed similar research published last year which found nearly 25 percent of British people are obese. The European average is 16.7 percent.